Panicky despair is an underrated element of writing. Hey, so I’m not dead. Just thought I should start out with that. I randomly decided to look at this site and discovered that there hasn’t been any new content since August 27th. Then I wondered if it even really mattered, because most people reading this are probably keeping up-to-date with me via Facebook. So do I even need this? I don’t know. Maybe not. I am in Atlanta this weekend for a friend’s wedding. I am staying with my friend, Sarah, and her husband who are also going to the wedding. 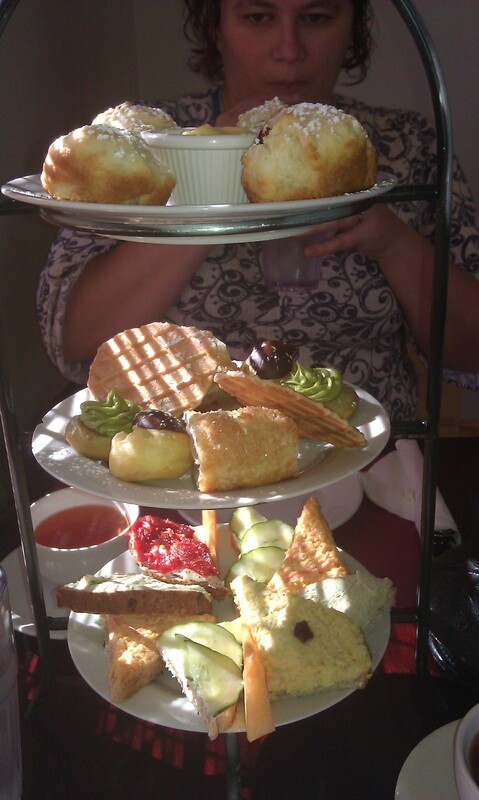 Sarah and I went to a tea room for lunch today where I got to feel incredibly fancy. 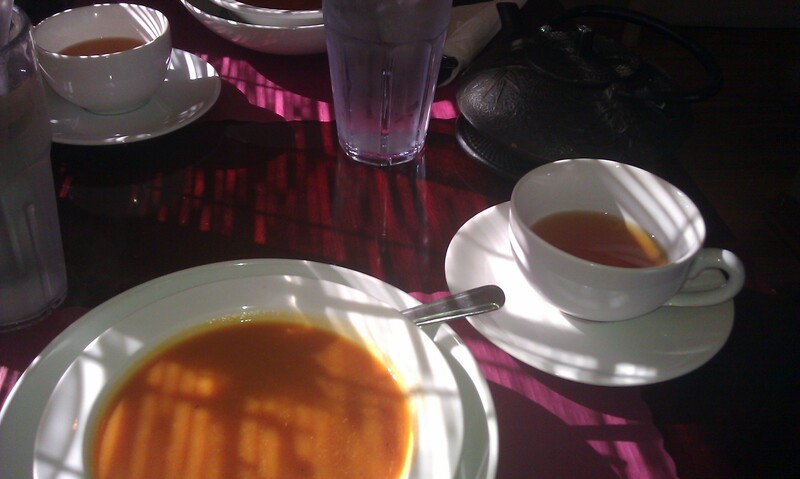 First we got Carrot Ginger soup and tea. I ordered an Orange Marzipan Rooibos tea (so delicious). Then lunch came. Finger sandwiches, scones with lemon curd, and various desserts. Everything was very good. I have never done this fancy tea business, but it was an overall enjoyable experience. I then ended up buying a small tea pot and some more of the Rooibos tea. Let’s see… other news since August… I was promoted at work and now have the title of Data Governance Specialist. The new job is going well and I am enjoying it a lot. We still don’t own the house yet. The seller and his daughter have finally reached an agreement, so I had to start the closing process with the bank again. Then I just found out the other day that there is an FHA regulation that when you are trying to buy the residence you are currently living in with a 3.5% down payment then you need to have lived in said residence for 6 months. Our banker is trying to file some kind of exception for us, but if it is not approved then we will have to wait to close until January. Not the end of the world, but I fully expect something else to crop up and further delay everything again. It is becoming laughable. Either that, or I am becoming crazy. Perhaps both. In graphic design side-business news, I designed the logo for my local library. That was a lot of fun and a great opportunity. It was recently approved by the board and hopefully once they start implementing it I can get more business over my way. Oh, which reminds me… I need to give them business cards. If you are interested in checking out my graphic design business site, you can do so here. I don’t have the library logo up yet, but there is a small portfolio of other work to see. I think that’s it, really. Life is quiet, just the way I like it. Just realized the soup and the tea were the same color. Slightly unsettling.